Local organisations are clubbing together to provide a new fortnightly drop in to offer support to people in Horncastle. The new ‘Horncastle Drop In’ will see three organisations - P3, Age UK and Horncastle Recruitment - under the same roof in Horncastle Community Centre, offering advice and support to local people - even on confidential matters. The drop in sessions, which will be held on the second and fourth Thursday of each month from September, will be a place where people in need can come for housing related support from P3, for advice on social care and benefits from Age UK, or for help getting back into work from Horncastle Recruitment. It is hoped that more organisations can be added to the sessions to reach more community members - this will be reviewed in January. Reverend Samantha Parsons, curate at St Mary’s Church, told the News that all that was needed to set the sessions in motion was to ‘connect the dots’. She said: “One of the joys of the job is using your contacts to work out how best the community is served. “There used to be drop in sessions in Horncastle, with an appetite for similar sessions to be started up again. 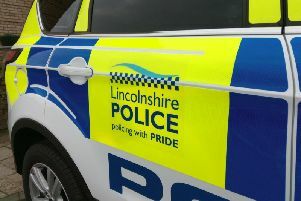 “I’d met with P3 who hold drop ins around the county, so it was a matter of contacting them to see if they’d meet to discuss coming to Horncastle - and it grew from there. “Age UK became involved as did Horncastle Recruitment, and it became a way of combining local services to meet the needs of others. The first Horncastle Drop In will take place from 10am until 1pm on Thursday 14 September in the Harrison Committee Room of Horncastle Community Centre.